Journaling the Journey: It's not a submarine! After yesterdays rain, and therefore, since we are in Malta, heavily flooded roads, my Mazda has suffered from some floods as well...A wet alternator belt making whistling noise, a flooded running board, and a broken H3 bulb. No need to mention, this morning I woke up early to fix the things. As for the wet alternator belt, I just left it dry and made a 30 minute drive. 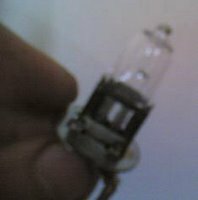 For the running board, I found out that there's a plastic tap which can be removed and clogged water can then be drained out, and as regards the bulb, well, just a simple 95cents replacement with another one. I am still planning to replace the H3 bulbs anyways, with Philips or Osram enhanced lights (similar to Xenon lights but without the ballast kit). I'll post something in the next days about this.